Battlefield Hardline PC product is a digital code, once bought, the code will be sent to your email or can be downloaded directly from your screen. These codes are original and produced by the developer.These codes have no expiry date. 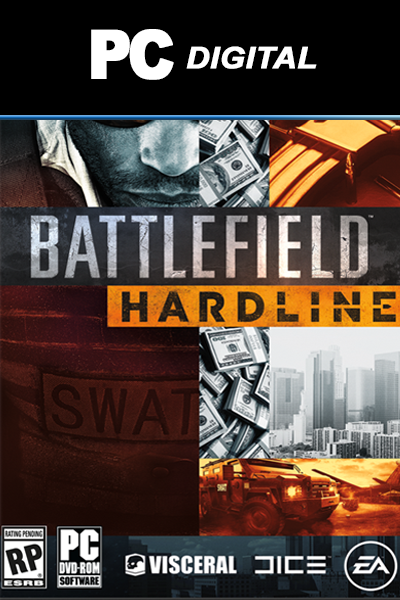 On livecards.eu we present you the game 'Battlefield: Hardline' for PC. We provide this digital game, which you can download quickly and safely. With our simple 3-step ordering system you will have your desired game in no time. Continue to sit on the couch, open our website in your browser and purchase your desired game fast. Using a credit card is in our past; you choose how you pay. Looking for a gift for a friend or family? Look no further! Check out our wide range of Gift Cards. Buying Battlefield Hardline PC from Livecards.eu is as easy as 1 2 3! Simply fill in your email address, select a payment method and complete the payment! We have some of the cheapest Battlefield Hardline PC on the market.